This review is about item#34822322. 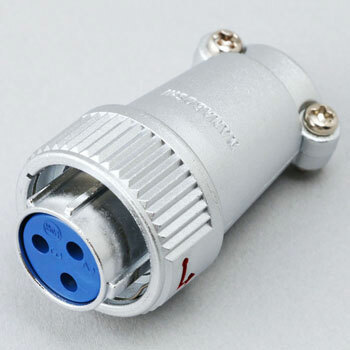 Since it is a one-touch connector, it is easy as it will not turn after plugging in. As a coupler between battery and equipment. When purchasing NR - 204 - PF and NR - 204 - PM to make it a power supply coupler, it turned out that these two can not be used as a coupler. Each partner is a receptacle, is not it? This review is about item#34822243. It is difficult to select a product combination. 3 Thin type is missing. Please be explained. This review is about item#34822207.